Congress Chief Sonia Gandhi to be discharged soon from hospital in a day or two : On Sunday, Congress President Sonia Gandhi was discharged from Sir Ganga Ram Hospital in Delhi. Congress President Sonia Gandhi was undergoing treatment. She is recovering well from her illness. Chairman of Board of Management of the hospital, D S Rana said that the medical conditions of Sonia Gandhi at the time of discharge from the hospital is stable. She has been advised rest and continuation of medicines. She is likely to visit the hospital for further evaluation of her condition in the coming days. The congress president Sonia Gandhi, 69 year old, has been undergoing treatment at the Sir Ganga Ram Hospital for the last 11 days. 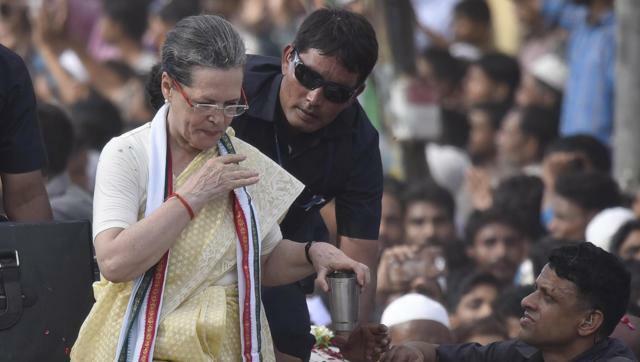 Sonia Gandhi had fallen ill during a roadshow in Varanasi, Uttar Pradesh. On 3rd August, the day Sonia Gandhi was admitted to the hospital and she had undergone a surgery on her left shoulder. The doctors said that she almost recovered from the injury now. Congress President Mrs Sonia Gandhi was shifted to the Sir Ganga Ram Hospital from the Army Research and Referral Hospital, where she was rushed soon after her arrival from Varanasi around midnight of 2nd August 2016.